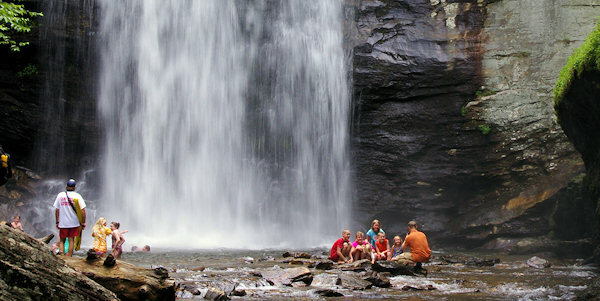 Its easy accessibility makes Looking Glass Falls a popular spot for travelers along U.S. 276, Forest Heritage Scenic Byway, near Brevard in the Pisgah National Forest. Enjoy nice views from the parking area along the road. Or take a short walk for a closer look. 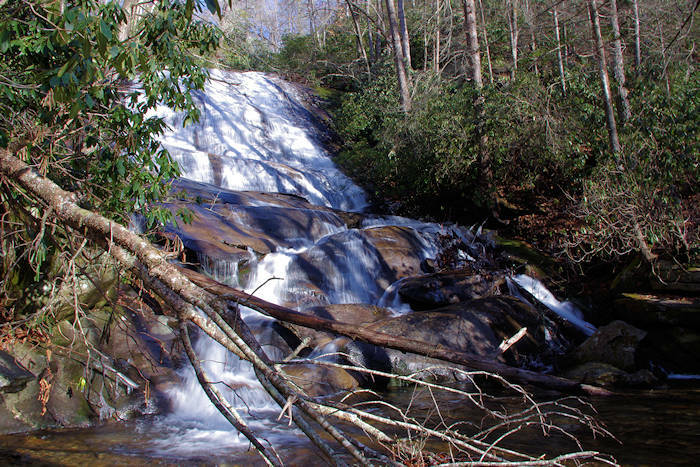 The waterfall is 60 feet tall. Steps lead down to the falls for a close-up view. 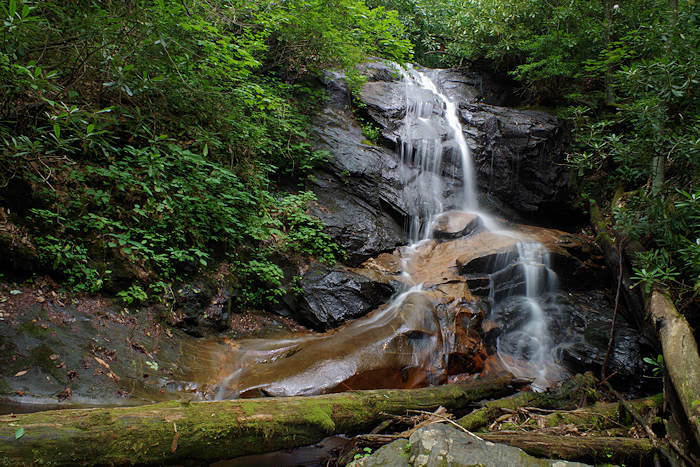 You can venture onto the rocks in the stream below the falls, and even do some wading and swim underneath the falling water when water flow is lower. For photographs, the sun comes up over the waterfall in the morning. So, afternoon lighting or a cloudy day is best. 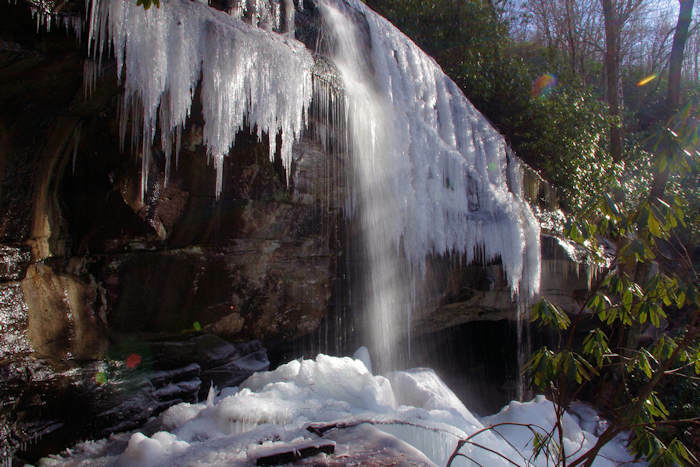 And visit during the winter to see beautiful ice creations. 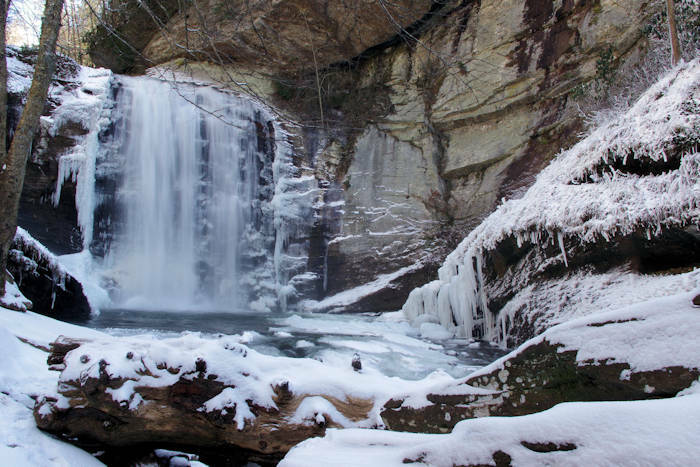 Nearby are Sliding Rock, Moore Cove Falls, Daniel Ridge Falls, Log Hollow Falls, Cove Creek Falls, Slick Rock Falls, Pink Beds Hike and the Forest Discovery Center at Cradle of Forestry. 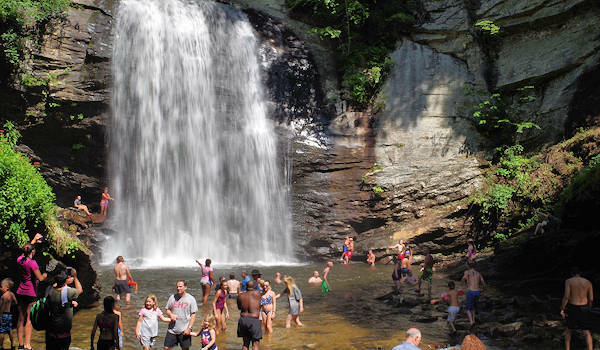 Looking Glass Falls is a very popular swimming hole on a hot summer day! 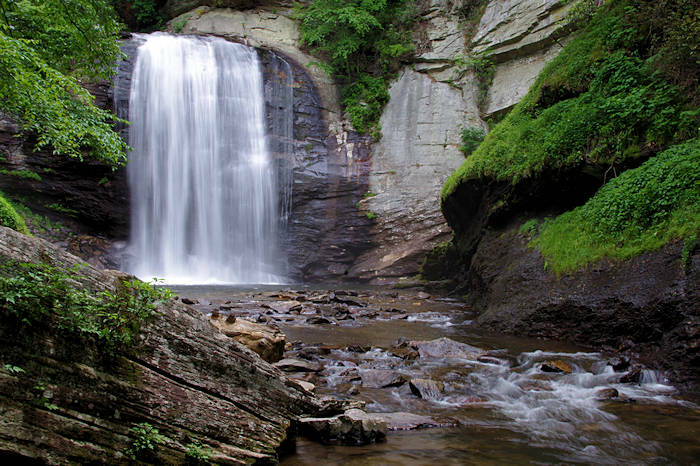 Also see our Top 60 Waterfalls near Asheville, Waterfall Drives & Maps & Pisgah Forest Waterfall & Hiking Map. 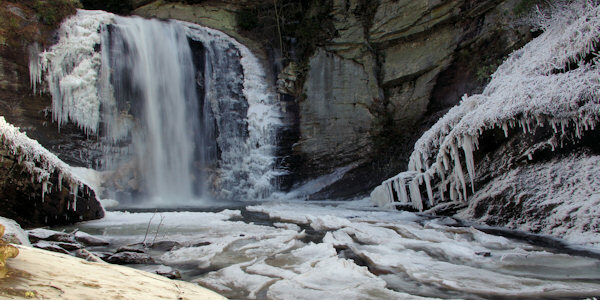 Thanks to The Pisgah Conservancy for their clean-up efforts to keep the views open!